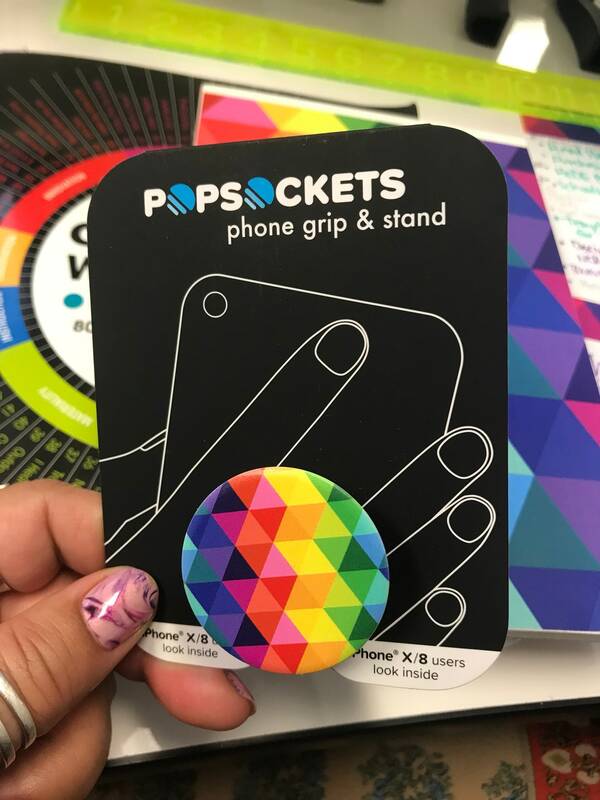 This colorful rainbow collapsible grip provides a secure hold for easier texting, calling, photos, and selfies. 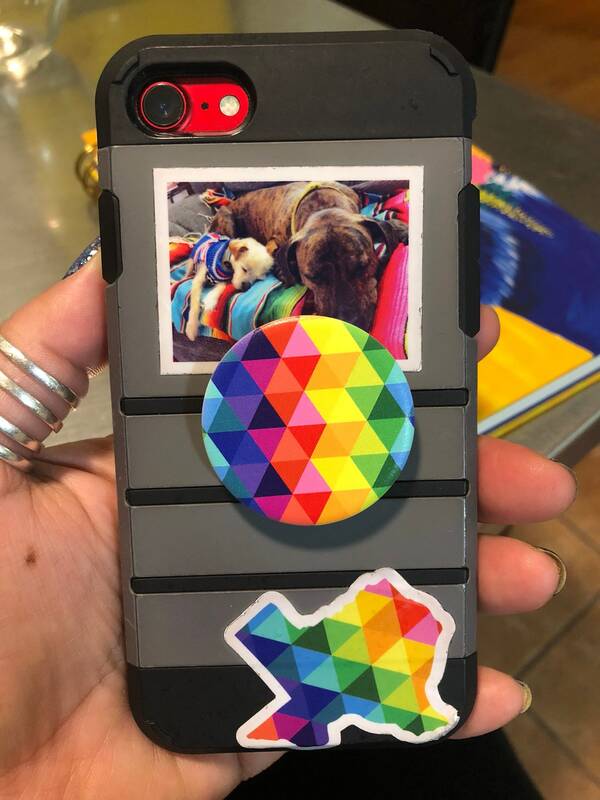 Note: will not stick to some silicone, waterproof, or highly textured cases. 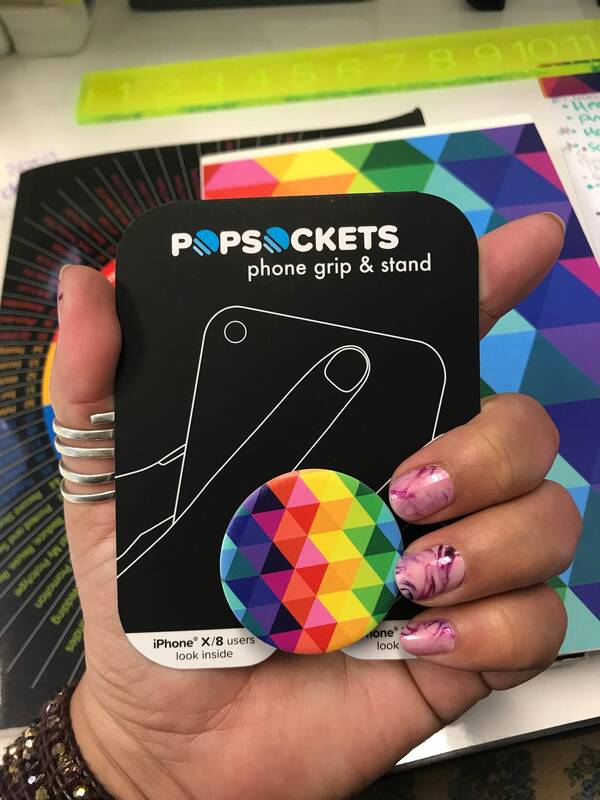 Packaging includes an adhesive disc for customers applying directly to your phone and other glass-backed phones. 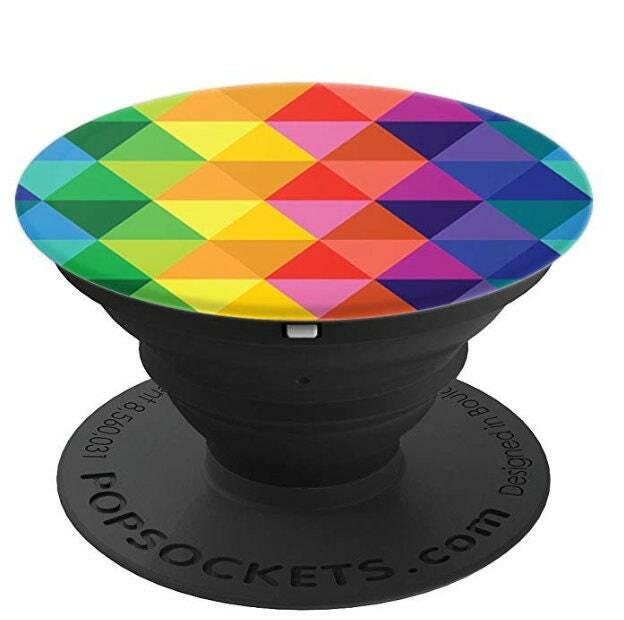 Is your friend, family member or coworker in need of some color in their life? 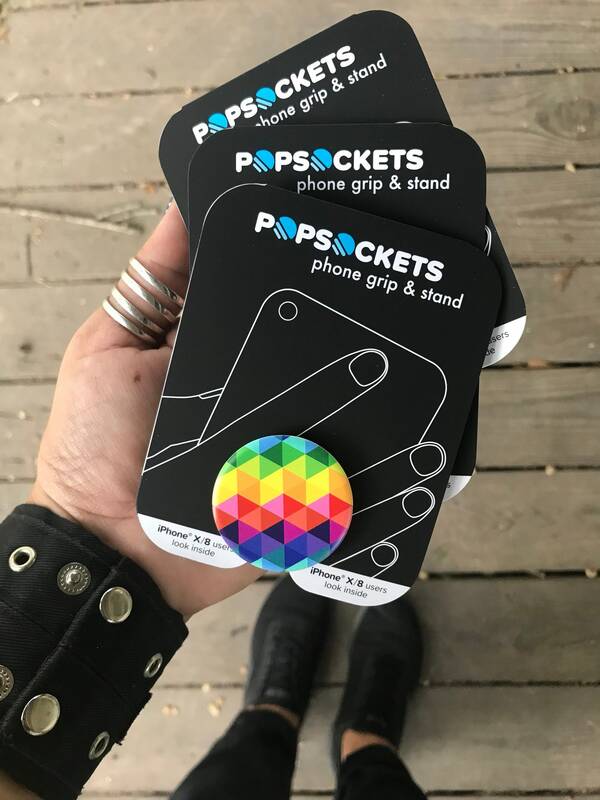 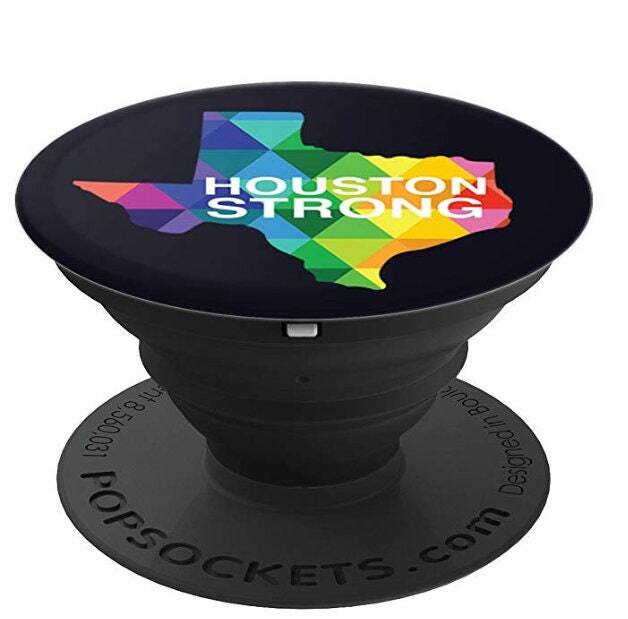 This rad popsocket is the PERFECT gift for them. 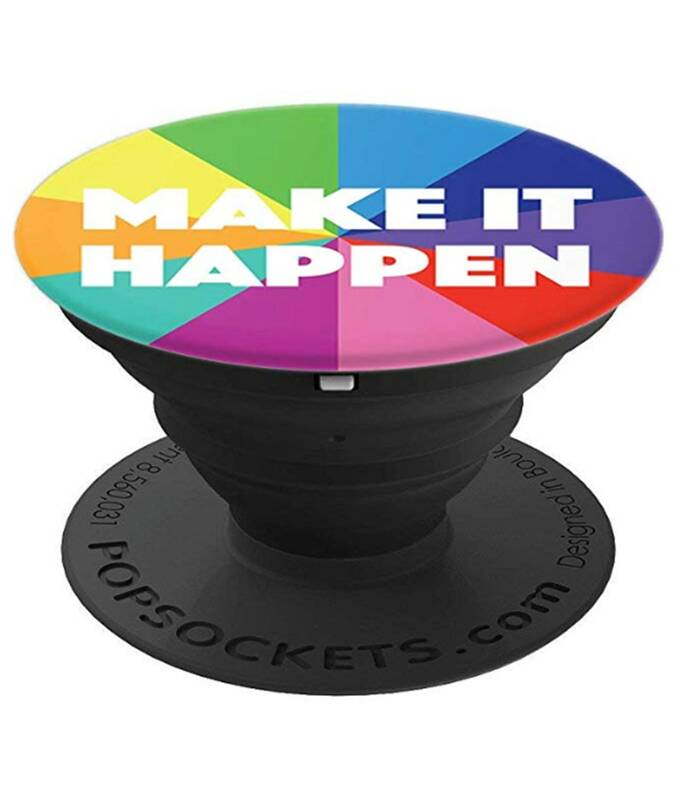 Or just buy one for yourself, you deserve it.